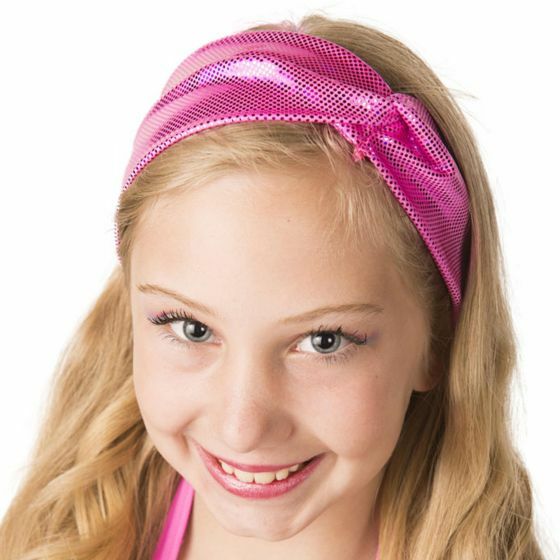 Trendy with a twist, our sparkly pink headwrap helps hold your mermaid hair back so you can focus on mermaiding! 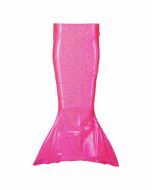 Plus, it's the perfect accessory to your Passion Pink mermaid tail! Fits youth and adult sizes.This fabric will fade in the water and is recommended as a costume only. We do not warranty this fabric for fading. Arrive at your next mermaid party in style wearing our Passion Pink headwrap! Hundreds of shiny dots shimmer and glimmer in the most perfect way, making your mermaid hair the star of any get-together. Made from the exact material as our Passion Pink mermaid tail, this mermaid headwrap is the perfect match and complimentary accessory to complete your look.